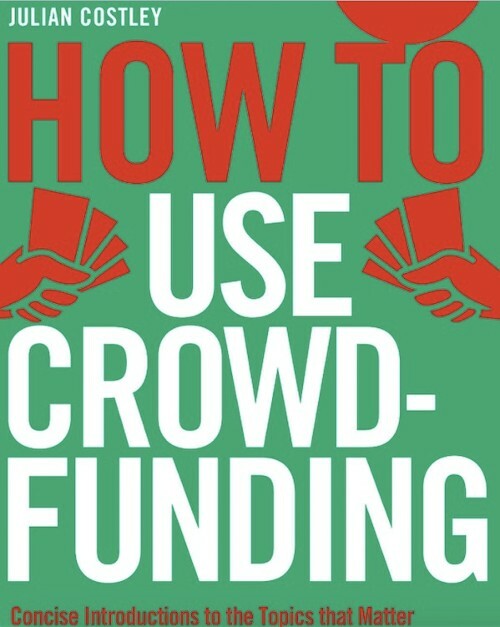 how to: use crowdfunding gives you the guidance and advice you need to start Crowdfunding; taking you step by step all the way from planning your crowdfunding campaign to getting the money in the bank. Entrepreneur Julian Costley shares key tips to make your campaign a roaring success, and includes the essential facts on company and regulatory law, tax and risk. Julian will be sharing his wealth of knowledge on getting investment from all sources including Crowdfunding in CorkBIC's upcoming Venture Academy® on November 16th in Cork. If you are an investor ready startup apply today. Julian Costley is an active investor in technology and media companies and serves as a chairman or non-executive director on a number of boards. He was aCountry Manager at Thomson Reuters, before creating his own TV channel on BSB (later BSkyB), then CEO of France Telecom’s Globecast satellite company. After meeting venture capitalist Hermann Hauser in 1998, they created E*TRADE UK, the UK’s first all-Internet stockbroking firm and effected a trade sale at the height of the dotcom boom. Since then he has invested in 16 companies and became chairman/NED or adviser to many more focusing on the telecoms, media, financial services, and internet markets in UK, Netherlands, Scandinavia, France, Canada and China. He is an occasional lecturer/mentor/MBA course judge at London Business School, Said (Oxford University), EDHEC (Nice), UM (Barcelona), Skema Business School (Sophia Antipolis) and Deusto (San Sebastian).